The new Dacia Logan MCV Diesel Estate is a budget-friendly large family car that’s practical, cheap to run, and which offers excellent value for money. It might be a lot bigger than a supermini but it costs less to buy. So what’s the catch? Well, you’d have to be happy with a no-frills, very basic cabin that can’t offer much by way of standard kit. It’s a straightforward proposition that does exactly what it says on the tin. If you are, join OSV as we take a closer look at what it’s all about in our review of the 2018 Dacia Logan MCV Diesel Estate. Founded in Romania in 1966, Dacia has an interesting history. To learn more about the brand, read our article about Dacia here. On the road, a large estate car at this price point was never going to be much fun to drive – as is the case here. It’s a car that simply gets the job done, but as a bonus, it can offer a hassle-free driving experience. It’s also fairly comfortable, too. Moreover, while the Logan MCV can’t handle with the sureness of a Ford Focus, it takes bends well, where its heavy steering comes in handy. Of course, that heavy steering is less of a strength in urban settings. Other weaknesses include an unsettled feel over bouncier surfaces and excessive body roll at speed, an issue that isn’t helped by how tall its ride height is. On the other hand, its wide tyres and 16” alloys provide plenty of grip and the car makes for a capable motorway cruiser. All models come with a 5-speed manual gearbox as standard, and there is no option of specifying an automatic ‘box. That and the fact that there is no sixth gear might put some buyers off. In terms of the engines, there are two diesels available – but there may as well be only one. We say this because an entry-level 1.0-litre TCe 75 unit is way too underpowered for a car of this type and should be avoided. Your alternative is a 1.5-litre diesel engine that has a good amount of low-speed pulling power, and which can cover the 0-62 dash in 11.8 seconds. That’s not half bad for an engine that produces a modest 89bhp. It feels muscular and only loses its nerve slightly when you’re tackling steep inclines. It’s a tad noisy when you first start it up, but it settles down once you’re up and running and it’s the engine we recommend. There are a couple of things that buyers of this type of car look for, and one of them is comfort on the move. The Dacia does a decent job of smoothing out most road imperfections, but the really badly beaten up roads can cause it to jolt and jerk. Insulation is a bit of an issue. At higher speeds, wind and road noise makes its way into the cabin, while the diesel engines are a bit loud. In terms of how it looks, the cabin is hardly what you would call aesthetically pleasing, but with such a low price, who really expected much? That said, while the basic design is bearable, there are certain aspects of the cabin that might put some buyers off. For example, the plastic gear lever and steering wheel seem too basic. On the other hand, the cabin is clearly well put together and doesn’t look, feel or sound as though it will fall apart anytime soon. 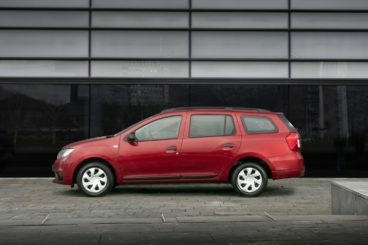 Is the Dacia Logan MCV Diesel Estate practical? At this price point, it’s hard to fault the car on this front. MCV stands for “maximum capacity vehicle” in case you were still wondering, and the Dacia lives up to that name well. Head and legroom is good for all, upfront or in the rear, while the boot measures an impressive 569-litres. It’s one of the biggest in its class – just 32-litres smaller than the VW Golf Estate – and expands to 1,518-litres when you fold the rear seats. If you want to find out more about the reliability of Dacia vehicles click here to read our unbiased summary about the brand’s performance. There are three trim levels available, and the entry-level model is very spartan. It gets ISOFIX child seat mounts and 15” alloys – but honestly not much else. There isn’t a stereo and you have to manually wind the windows up and down yourself. The Ambiance model adds a stereo, Bluetooth, a digital radio, remote central locking, air conditioning, electric front windows, upgraded upholstery and flashes of chrome, and it’s the model we recommend. A Laureate trim rounds things off with a seven-inch touchscreen with sat-nav, front fog lights, cruise control and a trip computer. Safety-wise, Euro NCAP awarded the Logan MCV just 3/5 for its crash test performance. It scored poorly for safety assistance (38%) and adult occupant protection (56%). Its standard safety kit includes electronic stability control (although the entry-level model misses out on this), but there is no autonomous emergency braking or lane-keeping assistance. Prices for the new car start out from £7,295 and rise to £12,095. For more information on our leasing deals, you can check out our page here. In terms of its running costs, an old 1.0-litre engine powers the entry-level model, and it can return 52.3mpg at best while emitting 120g/km of CO2. It has a BiK rating of 21%, and altogether its running costs aren’t so impressive when you compare them with modern petrol engines. The 1.5-litre dCi 190 diesel is much more frugal, and it’s also a better engine overall. It returns as much as 72.3mpg and emits 100g/km of CO2. It has a BiK rating of 20%, while both engines cost £140 a year to tax. Measuring 569-litres, the Dacia’s boot is one of the biggest in this class. You won’t find a car anywhere else that’s as good as this at this price point. There shouldn’t be too many complaints where comfort is concerned, even on longer trips. Its driving experience is pretty bland. Standard kit is sparse and you’d have to be okay with a car that doesn’t even get a stereo. Let’s see how the car fares against its rivals in the comparison section of our 2018 Dacia Logan MCV Diesel Estate review. The new Skoda Octavia Diesel Estate is roomy, well-built and doesn’t cost too much to run. It’s a key model for the brand, and it fares well on the road. It’s never going to be the most exciting car you’ll ever drive, but it’s easy to drive, weighs less than last time and feels rather lively. The steering is well-weighted but not very responsive. It’s also a bit uncommunicative for our liking, while body lean is a bit of an issue in bends. Ride comfort is very good, the car feels composed over coarser surfaces, and there’s plenty of grip on offer. In terms of the engines, there are two diesels on offer and both are a bit noisy on start-up. Once you’re up to speed, they settle down and the performance they offer is pretty damn effortless. The smooth 1.6-litre TDI engine covers the 0-62 sprint in 10.6 seconds and returns 74.2mpg, while the bigger 2.0-litre TDI engine produces 148bhp and covers the same dash in 8.5 seconds if you stick to the manual gearbox. It’s got plenty of power in its armoury and returns 70.6mpg economy. It’s the one we recommend if your budget stretches far enough. Inside, the Octavia looks and feels a lot classier than the Dacia. It’s louder than we’d like, but that’s largely because VW didn’t want it to be as quiet as their Golf. Insulation, on the whole, is good, while we have no complaints with cabin quality. It’s not super imaginatively designed and there isn’t much by way of design flair in here, but it’s stuffed with tech and gets the likes of an 8” Bolero infotainment system as standard, as well as lots of connectivity. 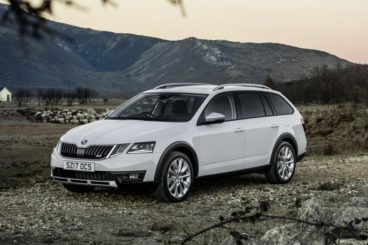 Is the Skoda Octavia Diesel Estate practical? This is the area where this car truly excels. Its vast cabin accommodates all passengers well, with everyone getting the sort of leg and headroom you’d only expect from a car in the class above. The huge, wide opening rear doors make access a piece of cake, and there’s lots of handy storage spaces dotted around the place. We think buyers will appreciate the big air-conditioned glovebox, as well as the frankly massive door bins. The boot, meanwhile, measures 590-litres. Fold the rear seats and you can extend it to 1,580-litres. The new Ford Focus Diesel Estate is the longer, more practical version of the popular hatchback. It’s handsomely designed, boasts a range of excellent engines and it’s good fun to drive. 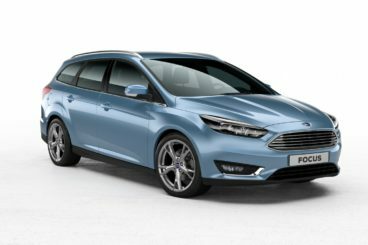 If diesels are your thing, Ford offer a pair with the Focus Estate. A 1.5-litre TDCi unit feels very modern and is available in three separate power guises. Most buyers will probably overlook the smaller 94bhp variant, but because all variants return the same fuel economy, we’d also recommend overlooking the 104bhp diesel and instead going for the 118bhp version. This 118bhp engine is powerful, flexible and an effortless performer. Rounding off the range is a fairly explosive 2.0-litre TDCi diesel that’s only available with the higher-spec models. It’s fast, it develops 148bhp and it still manages to return over 70.6mpg. That’s impressive. Meanwhile, all variants of the 1.5-litre diesel engine return as much as 83.1mpg, emit less than 100g/km of CO2 and have a BiK rating that ranges from 20 to 21%. Inside, the Focus is roomy, comfy and comes with a brand new dashboard that looks very contemporary. The supportive seats further enhance comfort levels, while insulation is good. Fit and finish isn’t quite on par with a VW product, but this is a far more attractive cabin than the Dacia. Ford have reduced button clutter on the dashboard and it’s now easier to use, while its standard safety kit includes much of what the Dacia doesn’t offer, including a tyre pressure monitoring system, hill-start assistance and electronic stability control. Is the Ford Focus Diesel Estate practical? It’s got more room than you’ll probably need, but it’s not as practical as some rivals overall. The large glovebox is great but its interior lacks clever touches; there’s no underfloor storage, and for this price we’d have expected seat folding levers. The boot, meanwhile, measures 476-litres and can be expanded to 1,502 when you fold the rear seats. If you don’t have deep pockets but need a decent domestic car that’s going to do all you need it to (and not much more), the Logan fits the bill. 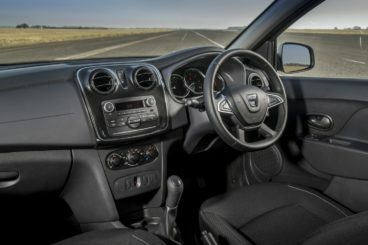 Affordable, comfortable and not exactly bad looking, the new Dacia Logan MCV Diesel Estate is bargain stuff at times, but if you’re happy with that it’s well worth a shot.